Google ads is one of the best online platform to make money or make your product spread far through advertising. The Google AdSense has being the major issues our bloggers in Nigeria are facing. google ads approval has become hot cake today that even when you have all it takes Google will still bring you down and this has made most people to leave the blogging sphere. Today we will be sharing with you a little tutorial on how to register usa and uk adsense in nigeria just follow the steps below but before you start make sure you have not less than 15 post with a total traffic history not less than 3000 and you must be 18+. 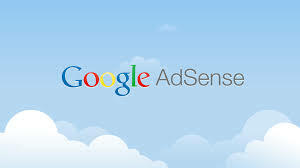 First you need to visit Google Adsense official website by clicking here. Now carefully click on SIGN UP button at the top. You will be prompt to a page were you will have to insert your website URL and select content language which is to be English. Choose Select united states (US) or united kingdom(UK) and enter your address. Finally, on submit application button. Now, paste the generated verification HTML code in your website and your account will finally be opened. Kindly wait for the first second approval and create an Ad unit to run adsense on your website. BlaB! Its an easy step :D perhaps verifying is a big time problem if you have no contact with some1 who lives there! Thanks for the tip, i succeded in getting a UK adsense. But the issue now is verification. Mathias this is not fair at all..u only published the simple aspect and left the verification process for us...what are we now going to do...even if I register...how will I verify..
Bro Mathias, thanks for this usefule post, It's really a good tip for newbie. I recommend they see also How To Make Money Online Blogging. You make adsence application look so easy here,. Besides, i love this blog. Nice Post i love site withlatest pls post more! To make me invite my friends and family!